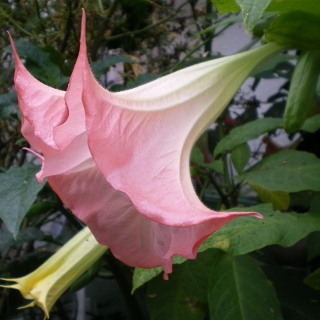 Angel's trumpet blooms big flower to the ground. The bud is yellow and blooms pink flower. The stem is thick and 1.5m tall high. The colors are white, pink and orange. 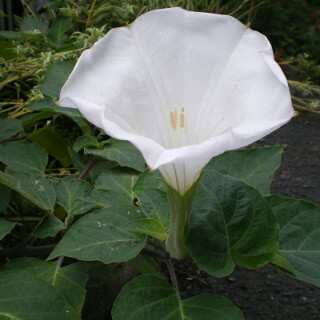 Aliases is Datura.